Our delicious, organic coconut water is clear when bottled, some of them turn pink when the antioxidants interact with light. It's natural, so we embrace it. We use our pure, delicious coconut water in our new Harmless Coconut® Probiotics. 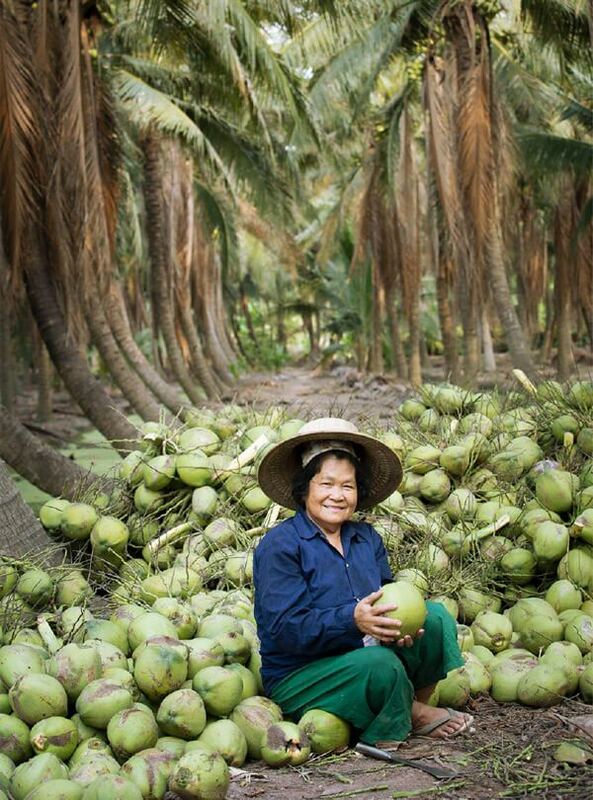 We harvest uniquely fragrant and tasty, young, organic coconuts grown in Thailand. We share the welfare we create from plants to farmers and from workers to partners by reinvesting in the communities at the source. Helping farmers obtain their organic certification creates healthier environments ensuring a cleaner planet. We understand that as a business, every decision we make has a profound impact that stretches far beyond Harmless Harvest itself – to the consumers who drink our product, the people who produce it and their communities, and the planet as a whole. We understand that as a business, every decision we make has a profound impact. Rooted in natural capitalism and deep ecology, our ecosystem-based business ethos builds upon change-seeking constructive initiatives. As a proud "ecosystem-based business," we make sure that everything we do benefits every entity involved – because even if it's a little harder, or takes a little longer, ultimately what's best for the people is best for the planet is best for the product. We make sure that everything we do benefits every entity involved. It is understood that all stakeholders should benefit from Harmless Harvest, whether it be the plants at the source, the customer at the store, or any step in between. Capitalism does not have to be detrimental to the environment or the communities at the source. An ecosystem-based business model fosters the long-term welfare of all its participants from plant to purchaser. 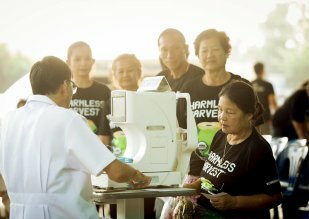 Each bottle of Harmless Harvest starts with our uniquely fragrant, organic coconuts grown in Thailand. Our proprietary extraction and filtration processes allow us to preserve the flavor of our precious product for you to enjoy! Harmless Coconut® Probiotics is a refreshing, organic blend of our critically acclaimed Harmless Coconut® Water with young Thai coconut meat and live probiotic cultures to support digestive and immune health. Delicious plant-based nourishment for any time of day. Fun and Harmless things to make at home! More videos uploaded weekly to our page, check it out below.